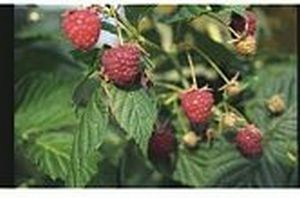 Summer Raspberry - Glen Ample ten canes £12.00 - Raspberry Apple Trees and Fruit Trees For Sale. Buy at competitive prices with wholesale discounts. This raspberry has vigorous upright spineless stems, which need supporting over the winter and will fruit the following summer. The bright red, round, firm fruits have an excellent flavour and the canes crop heavily, which is why it is one of the most widely planted cultivars.